Autoclassic: spare parts for classic vintage cars. Spare parts for Soviet cars with delivery worldwide. 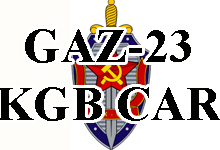 Catalog of Soviet Red Army vehicles. All spare parts that you have bought from us have month warranty. We offer a 30-day return for refund, 45-day exchange policy on all web orders. We offer our customers a convenient means of payment ordered parts. You can choose the following payment methods: VISA,PayPal, Western Union, Contact, Yandex Money, Private 24, Cash. We offer our customers a convenient means of shipping ordered parts. You can choose the following shipping methods: UkrPost, NewPost, UPS, EMS. AVTOCLASSIKA - THIS CLASSIC CARS AND SPARE PARTS FOR SOVIET CLASSIC CARS. 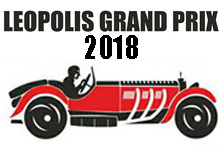 The «Autoclassic» — company is a professional team with great practical experience and deep theory in the field of classical automobiles restoration. Production and restoration of spare parts for the automobiles of the past are the main lines of business in our company. We know that the process of restoration is impossible without high quality components. 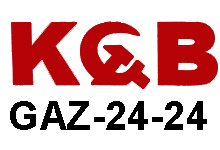 Therefore we’re glad to offer you a wide choice of high quality spare parts for: Gaz-12 «Zim» | Gaz-13 «Chayka» | Gaz-21 «Volga» | Gaz-20 «Pobeda» | Moskvitch-401 | Moskvich-403 | Gaz-69 | Willys | Zaz-965. Owing to our internet resource expenditure of your time and efforts for the process of restoration will be minimized. All you need is to visit our web-site WWW.AVTOCLASSIKA.COM, choose an interesting option, cover the expenses and specify the delivery address. We deliver your order to any place around the world. 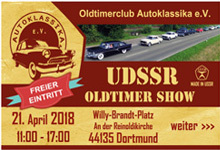 Therewith in our site you may advertise in buying or selling your oldtimer. We are open 24 hours and unbounded geographically! Turn your car restoration into pleasure!